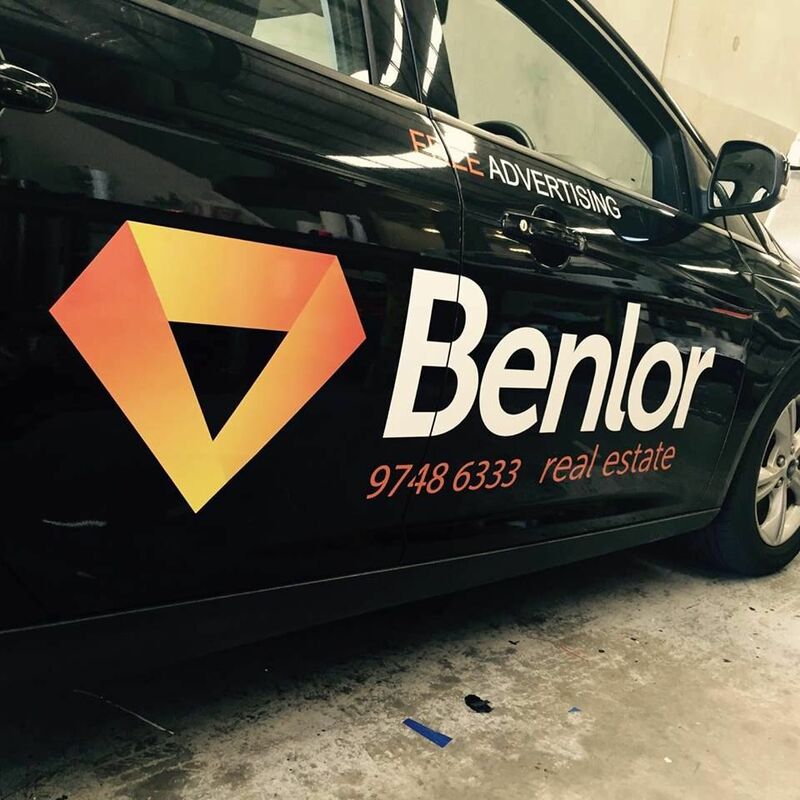 From full vehicle wraps to small door decals we have the right vinyl products for the job and we can help you find the best solution for your vehicle and branding needs. 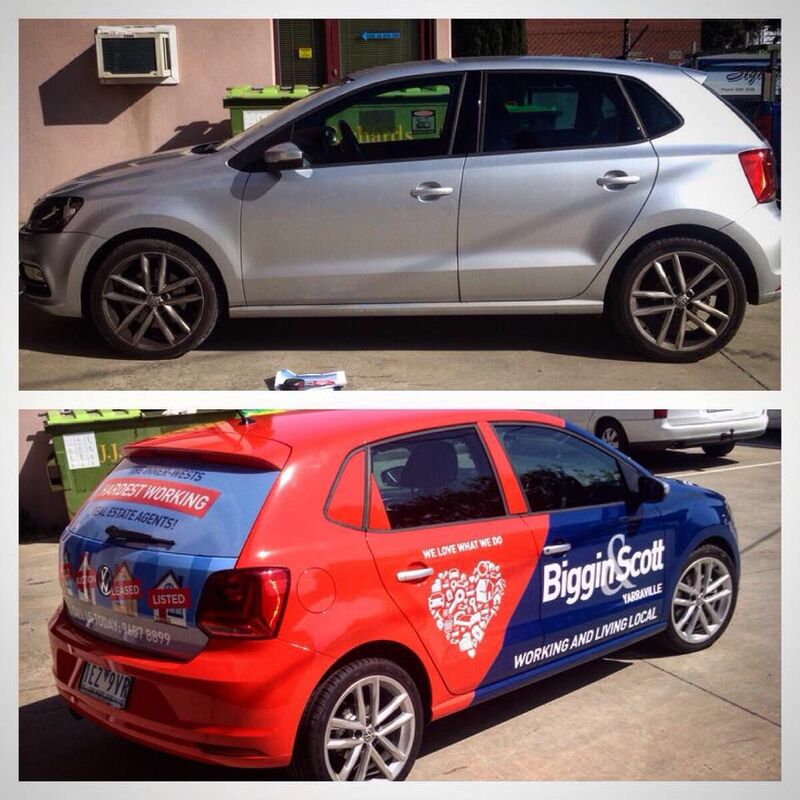 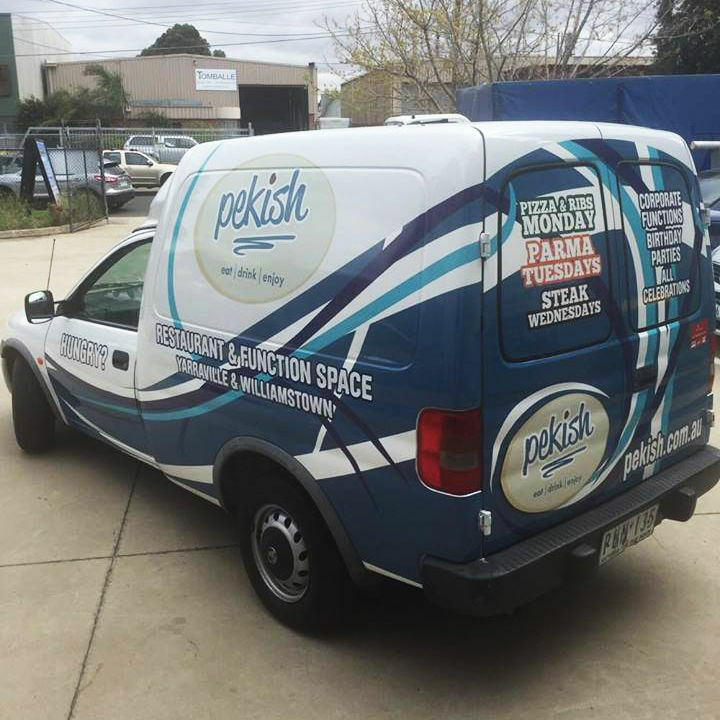 At Signway we can design, print and install your vehicle wrap with our specialist 12 year 3M 480 contour wrap print vinyl and if you have a budget we can work with you to design and create the best outcome possible. 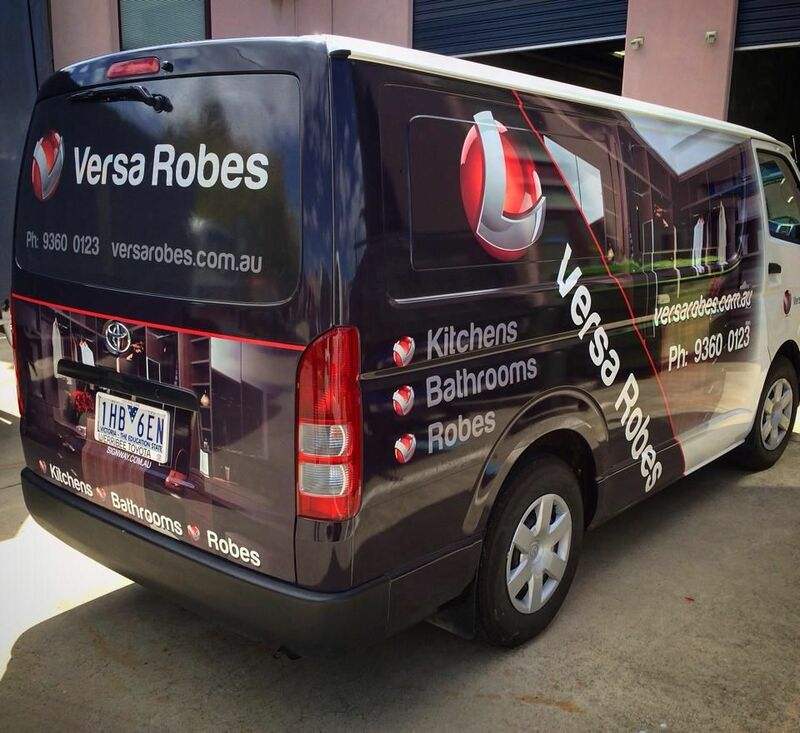 Half wraps are a popular choice as they cut the cost in half and when designed correctly can have the same impact as a full wrap. If you already have your design ready to go you can send it through, bring your car into the shop to take measurements, we can give you a quote, print it and organise a time for your installation. Focus or one-way vision is a perforated vinyl film, which can be printed on and allows you to see out of your rear view mirror. This is one of the most popular choices by our customers as it is most visible part of the vehicle whilst driving; it can also join full wrap images together as seen above or can stand-alone. The most common and simplistic way to put your companies Logo and details onto your car is to apply computer cut vinyl. 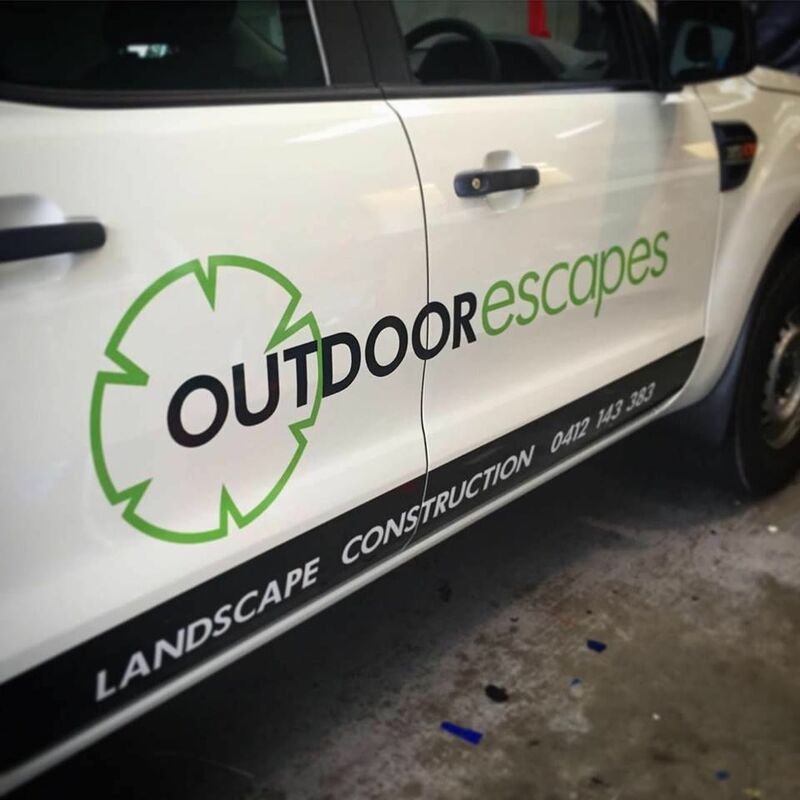 This allows the vehicles paint to show through the letters and also makes for durable and long lasting signage.